The Hudson H9 is one of the most anticipated firearms of 2017. The question is… does it live up to the hype? The new and improved Walther P22 addresses the reliability issues that have plagued this plinking pistol in the past. The Sig Sauer Romeo4S and Juliet red dot and 4x magnifier combo is a great setup for shooters looking for a versatile rifle. The Burris XTR II 1-8x riflescope is an excellent low power variable magnified optic, allowing shooters to quickly engage targets up close as well as engage targets hundreds of yards away. Review: Canik TP9SFX – Best Red Dot Ready Handgun? The Canik SP9SFx is a great option for any shooter looking for a full size handgun for flinging lead down range. Put an adapter onto a Ruger Charger Pistol for a stabilizing brace and get an incredibly compact plinking rifle, er, I mean, pistol. The very interesting rifle is semi auto, but still capable of of being operating manually should it fail in its semi auto operation. 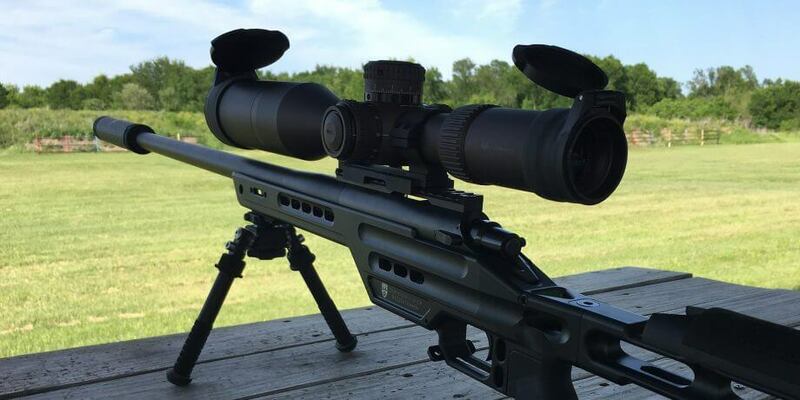 The Desert Tech MDR is finally here – let’s take a look at the .308 MDR! The Arsenal AF2011 double barrel 1911 is quite the unique and interesting pistol. Here is its story. The short story of my suppressor purchase and why I recommend buying your suppressor from Capitol Armory. Glock’s latest iteration to their iconic pistol is the Gen 5 Glock 17 and 19. The Rebel 22 suppressor is one of the lightest rimfire suppressors on the market and is available for only $99. The quick versatility between the different magnifications for different applications makes the Sig Sauer Tango4 1-4x rifle scope great for a wide variety of applications. Parker takes a look at 6 drop in Glock triggers, checks to ensure safety, and provides feedback on each of these triggers. A collection of gun reviews, gun accessories, gun modifications, and more. These articles and videos are intended to help firearm enthusiasts make informed purchases. These reviews are a combination of self made reviews and reviews from third parties to help provide a diverse source of opinions.